Adventures of a confused cheval. Home to some of the last tracts of intact old growth forest on Vancouver Island, the Central Walbran Valley contains one of the most impressive ecosystems on the west coast. The forest supports volumes of plant biomass double that of a tropical rainforest, some of biggest and oldest trees ever recorded (Western Red Cedars, Sitka Spruce, Hemlock and Douglas Fir), and is home to species like the Pigmy owl, Roosevelt Elk, and the critically endangered Marbled Murrelet (which nest exclusively in old growth trees). Tragically, the forest is critically close to being clear cut. Last week (September 18), the government approved the first of 8 proposed cut blocks by Teal Jones. 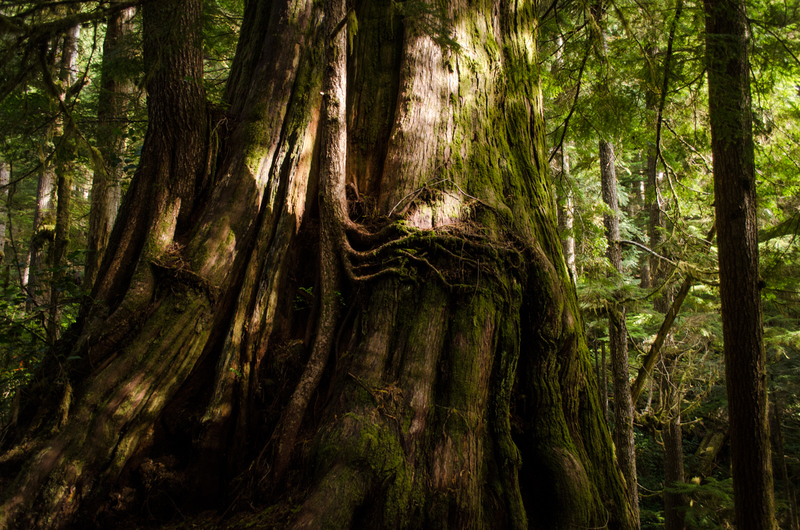 With only 4 % of the original low-elevation temperate rainforests left on southern Vancouver Island, we cannot afford to lose one of the most important carbon sequestering, culturally and recreationally important forests. The Central Walbran Valley is a 450 hectare bite that was a left out of the Camarnah-Walbran Provincial park created in the early 1990’s. Arguably the most impressive and popular area of both valleys, we are pleading with the government to save this forest. Teal Jones has about 60 000 hectares of harvestable land it could log instead of the Walbran and it cannot justify clear cutting this forest for short term profits. Reblogged this on Olivier Clements.